Individually completed a game in under 7 days, while attending class and doing other assignments. Created an impactful emotional experience game that move and inspire people by combining my knowledge in design, modeling, programming, and visual polishing. Implemented event driven game progression systems, floating boat simulation system, smooth camera transitions, smooth particle effect changes, etc, to support the gameplay. 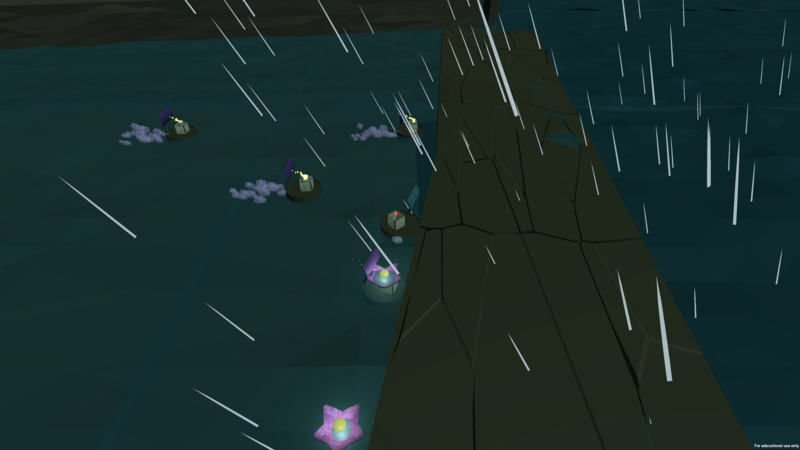 This game tells the journey of a lantern boat. It's put into the river, goes through all kinds of situations and finally gets to the sea, where all dreams come true. 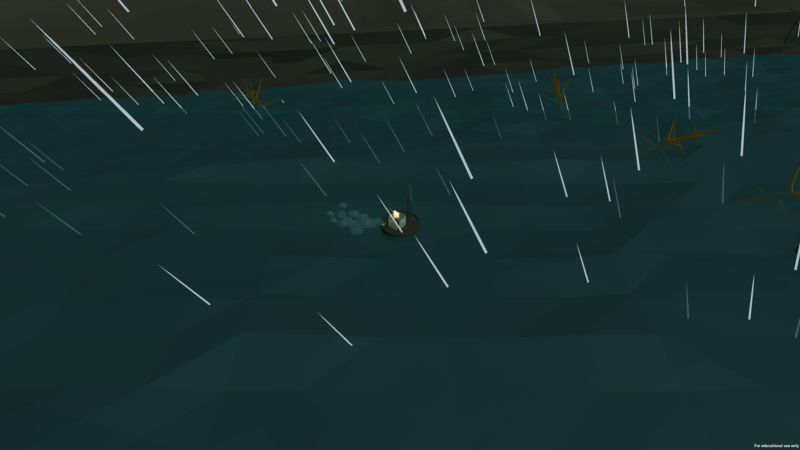 The player's goal is to guide the boat through the journey by rotating its sail. This is my first experience of designing narrative-focused game. My goal is to let the player get a mixed feeling of cheerfulness, sadness, loneliness, desperation and hopefulness when they go through different stages of the game. This game is made for round 0 of Building Virtual World class at Entertainment Technology Center. Round 0 aims at familiarizing students with Unity. As I've been using Unity for more than a year at that time, I decided to challenge myself by making a narrative-focused game, which I have no experience before. When designing this game, I started with the narrative, and came up with a specific set of mechanics and rules to serve the core narrative of the game. 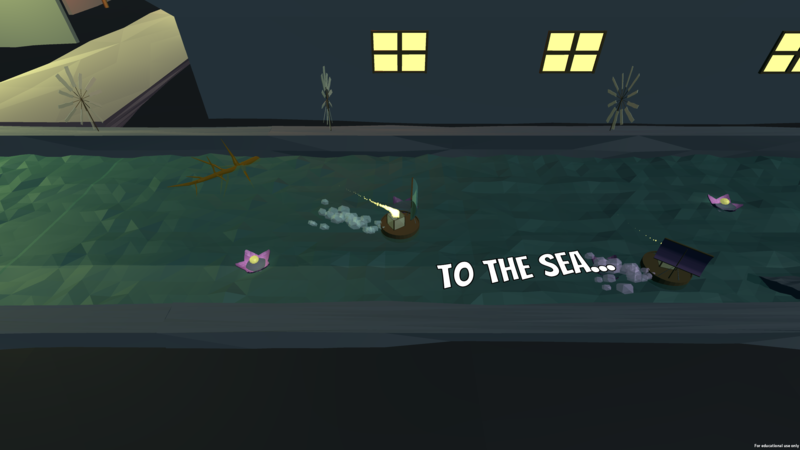 The storyline is simple: A lantern is put into the river, drifts through different scenes and gets to the sea. As this is my first narrative-focused game, I actually didn't know how to do it and need to figure out my own way of doing it. The way I came up with is to start with the feeling I want to give to the player. Based on that, I set the tone and atmosphere of each scene, and sketched the level based on the tone. After getting the primitive design, I started designing the core mechanics. I wanted to refer to real-world scenarios, where the lantern boat is pushed by the flow of the river. 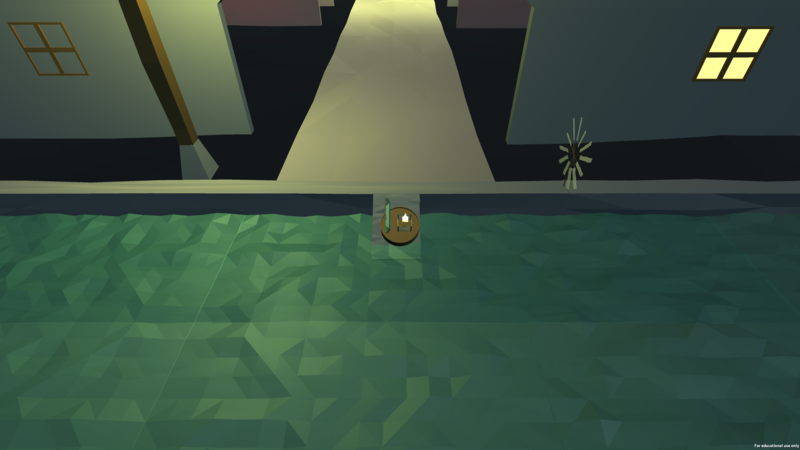 But that is difficult to visualize in the game and it's not that reasonable for the player to control a whole river. So I found another way of propelling the boat ---- WIND! Once I got this idea, I came up with the core mechanics very easily. I actually spent a long time learning about mechanics of sailing, but finally found out it's too difficult for me to implement that in one single week. So I got rid of it and went with the most basic classical mechanics. In terms of art, I have a building engineering background and learned some modeling skills by myself. But I can hardly draw 2D graphics or textures. So I decided to go with the low-poly art style, which is relatively simple to make but can still be highly expressive and beautiful. "Your game is so beautiful!" "I want to cry after watching your demo." "Your game is my favorite games from all round 0 games!" x 2. But certainly! There is still so much that can be improved! For example, the joint between river surfaces is still visible. And the river is currently quite straight and flat, which is hardly the case in real world. And there are still one or two spots in this game where the player can get completely stuck. If I get time to work on this project in the future, I will focus on polishing these details. While making this game, I added something details which are hard for players to see, but all who noticed them are surprised at how delicately the game is crafted. Windmills are scattered on the riverside to show the wind direction. The sound of thunder appears around 1 seconds after the lightning, which simulates the real world situation. 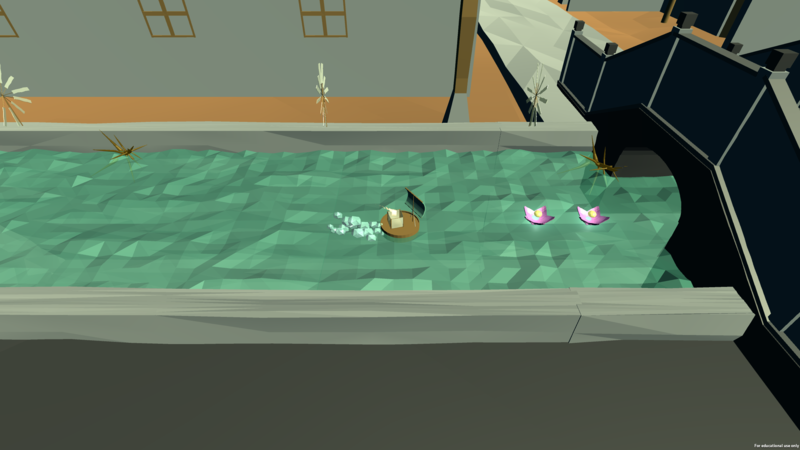 The boat only picks the "fruit part" of pick-ups and the lotus sinks after its fruit is picked up. Thanks a lot to Tianyi Zhao who volunteered to write and record the music for this game!